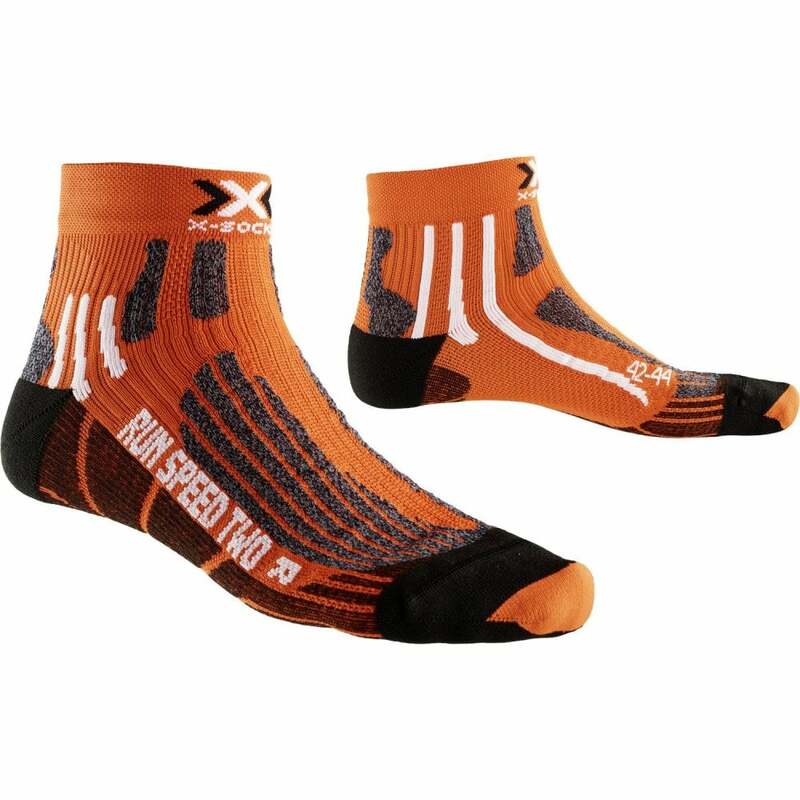 X-Socks Running Speed Two Sock are highly-acclaimed and extremely popular Speed One running sock has had a make-over, integrating the very latest X-Socks technologies. The lightweight competition sock is now perfectly suited for longer distances, up to and including the marathon, thanks to the well-engineered climate management technology and the ideally designed cushioning system. The new CentralFlow AirCool Stripes in the footbed provide 8x more fresh air, thus improving the ventilation whilst at the same time transporting excess warm, moist air out of the shoe more quickly than before. A customer favourite, we highly recommend these X-Socks for your adventures!